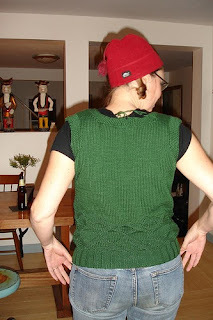 Allow me to introduce you to Carole, one of my test knitters for Charlie. 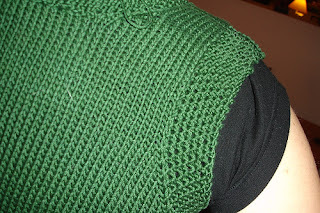 I know many of you wondered when the heck I was getting the pattern out. 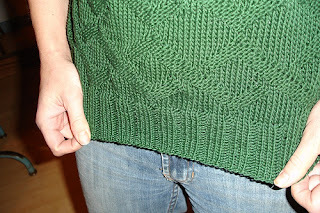 Well, dear readers, I wanted to have someone test knit it before I released it to the masses. Make sure the pattern was clear, the numbers were right, etc. etc. She tested the size 38, and, I must say, you look good in Charlie, girl. And I am in love with that green. 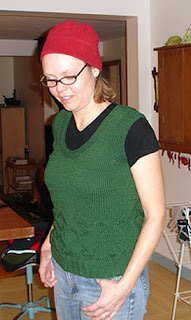 She has these pics posted on Ravelry and has given me permission to use them on this here blog. 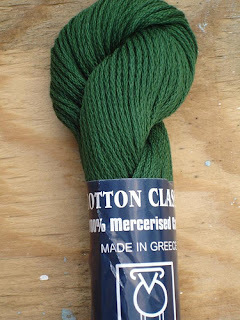 If you're on Ravelry check her out. She's "Flippybits". She was great at catching errors in math and readability of the pattern. I will never be able to pay her what her excellent advice is worth. Advice that will be reflected in the final pattern. It will be available either later this week, or the early part of next week.